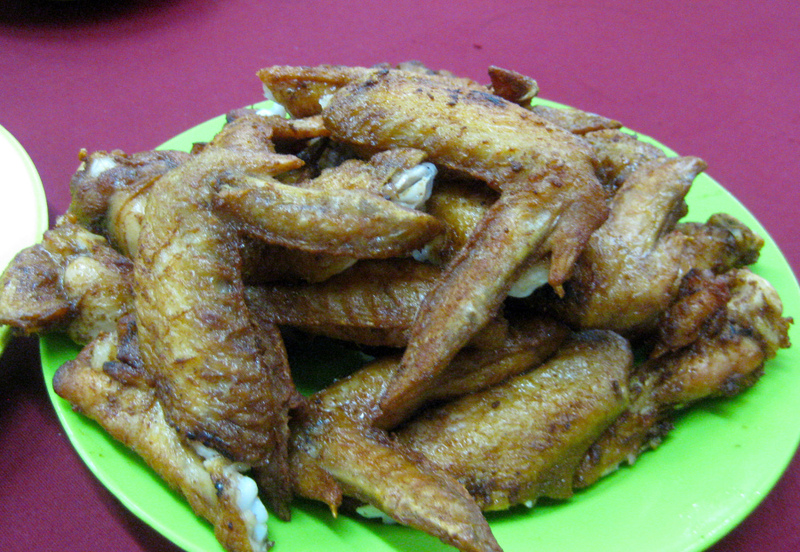 The bestselling fried chicken wings. The signature Fatty Crab sauce, great with toasted bread. 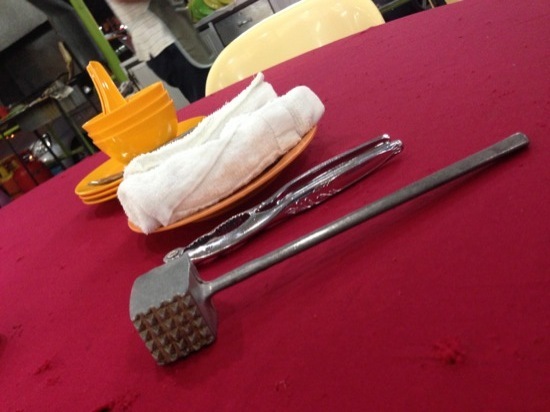 Hammer is best for crab eating. Hammer away like Thor! Huh? You see all my life I’ve been trying to get at the crab flesh with my teeth. Because there are many unwanted shell bits and chambers I end up spitting out and wasting most of the precious flesh. 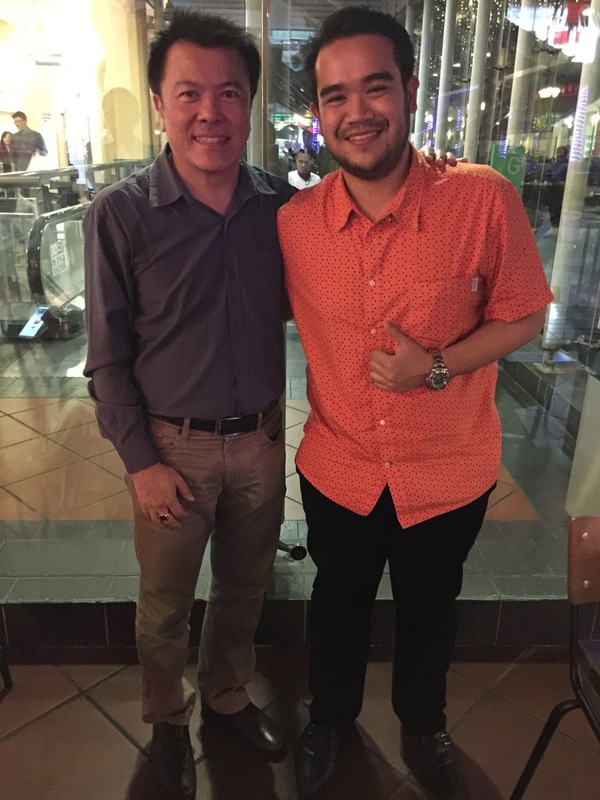 My good buddy Asyraf, son of Dato’ K treated me to Fatty Crab. His family including the famous singer Siti Nurhaliza are regulars. The 2 times we’ve been there Asyraf only ate toasted bread dipped itnto an extra bowl of signature Fatty Crab sauce – no crab. Because I couldn’t finish it, I tapau (take away) back. Tonight at home I reheated it and did 2 things differently. Firstly, I used a hammer to break the shell. I feel very embarrassed to use a hammer in public, so I rather use the “silent” claw breaker. But a hammer is the easiest to break the hard shell, much easier than the slippery claw breaker. 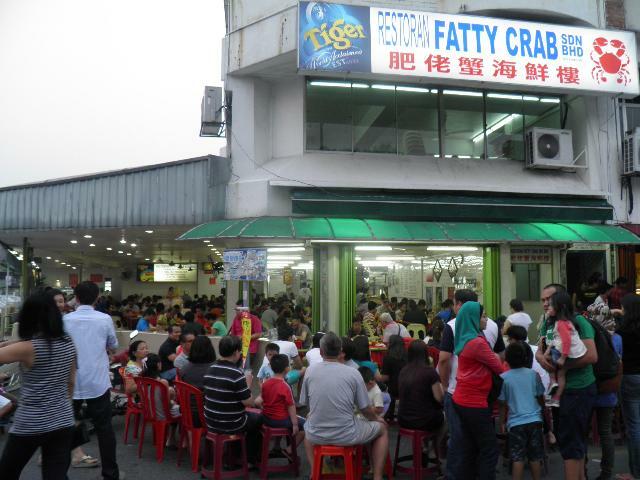 Now I know why people are happily hammering very loudly away at Fatty Crab – with no embarrassment. Secondly, I used my fingers to separate the flesh first, rather than using my teeth. Voila! This is a big discovery for me! Laugh all you want but no one ever taught me how to eat crab except maybe Nelson Chan (Chief Buying Officer of The Swank, the haute couture chain) who gave a full Shanghai Hairy Crab eating ritual party at his house in Hong Kong (the key is to remove the white ovaries in the middle as it’s too cooling especially for women. So with these 2 new methods of fingers and hammer I really enjoyed crab meat. Previously because it’s messy and difficult to get a good quantity of crab flesh, it’s not my favorite dish. My discovery changed all that! This restaurant is highly rated by many friends but I rate it 7.5. 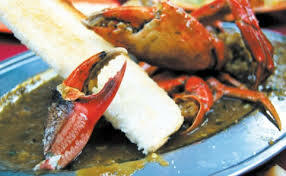 Although the sauce is unique but it’s slightly too sweet and I prefer spicy salty chilli sauce crab. But it’s a matter of personal taste. ← “I eat food expired after 18 months”. USDA says its okay to eat and reduce food waste!